Come to the Thumb Octagon Barn, Gagetown (48735) on Saturday, September 10th and Sunday, September 11th from 8:00 AM - 5:00 PM when all the events, demonstrations, and displays of Fall Family Days 2016 will be in action! The theme for 2016 is 'Our Wonderful World Of Water!' In the theme tent, information will be related by staff of the Department of Environmental Quality (DEQ) with information also provided by the Department of Natural Resources (DNR) concerning the 3 states of water: solid/ice, liquid/water, and gas/steam! These all provide the basic needs of life for people animals and plants, plus provide energy, and recreation in the early 1900's - and still today! Displays will show what happens when there is too much water, not enough water, and just enough water for the soil to take in/use. Greg Alexander, Carsonville, and Tammy Grifka, Peck, co-chairpersons for the theme, will be having discussions and answering questions relating to all the things water does to/for the environment that effects people in their daily lives. Videos will be shown relative to the Water Shed Advisory Committee, County Drain Commissioners, and Water Resource Commissioners. Display boards will show how was water obtained in the early 1900's, the importance of ice for cooling, where ice was gotten and how it was kept, plus how water figured into food, industry, and recreation. The Knowlton Ice Museum, Port Huron, will also be providing information/display. Water displays will also show the importance of water today, in terms of wetlands, runoff, purification, conservation of water, and it's importance for all living things now and into the future. There is also a wonderful, old ice fishing display located in the north loft of the Barn, including an old ice shanty and carved wood ice fishing lures! New this year out by the creek will be "well drilling" by Frank Franzel, Mayville, - done the old fashioned way! From 4 to 7 PM on Friday, September 9th, a delicious Fish Fry will be served in the Munro Building; $10 adults, kids six to twelve is $5, children under 5 FREE. Greg Talaski, Kinde, will prepare the fish with the rest of the menu to include baked beans, scalloped potatoes, vegetable, coleslaw, roll, plus dessert! Baked fish will also be available. A HUGE Country Breakfast will be prepared for you by the Knights of Columbus #3224, Caro; serving on Saturday from 8 to 10 AM and Sunday from 8 to 11 AM. You get to choose how you want your eggs prepared, have ham or sausage, potatoes, pancakes, orange juice, coffee/milk, Cost of the breakfast is $7, ages five years to twelve $5, and children under five free. Other foods available on site from mid-morning on will be homemade bean soup, chicken & fries, cotton candy, pressed apple cider, homemade ice cream made by the Thumb Antique Car Club, homemade pie made by the Knights of Columbus, Caro, fresh lemonade out by the School, hog kettle popcorn, plus - made in front of your eyes and noses! - delicious, warm homemade doughnuts to die for! Food concessions, run by McDonald's Food and Family Center, Bad Axe, will be available all throughout the day in the Munro Building. In addition at the Sugar Shack, east of the creek, there will be delicious caramel corn and plus sorghum syrup for sale. Also out by the creek will be a HUGE Children's Activity tent, surrounded by a white picket fence. Kids get to play and do "chores" like kids of yesteryear - choosing to wash clothes on the scrub board, hang them on clotheslines, use bean sorters, milk the wooden goat, pretend to ride horses (with saddles to on straw bales), play checkers and other old-fashioned games, walk on the wooden stilts, plus pump water from hand pumps! Children must be accompanied by an adult when in this area. Also included in the same general area are the children's Barrel Train rides. All these activities are FREE! Kids have a great time participating in these activities - while using NO technology. Ron Kuensli, Deford, is chairing the Music activities for Fall Family Days 2016. Under the trees near the house throughout the two day event, several Country Bands will be playing. Also on Sunday morning at 10 AM, there will hold an Old Gospel Hymns sing-a-long! Throughout the two day event, this will be a great place to listen, sing-a-long, and relax! Both days the House will be open for a walk through tours of the gorgeous eleven room, seven bedroom two story house, home of James and Cora Purdy and their two daughters. This beautiful house, built in 1922, has been restored to its wonderful grandeur. It is furnished with furniture, items and clothing of the time - some of which belonged to the Purdy's! Music will fill the Purdy Home with dulcimer players and Alex Paladi, Deford, will be playing the Purdy Family Melodeon. New this year, the basement will be open to see a display of all types of old kitchen appliances and gadgets; guides will answer explain/answer questions about what each thing is and how they were used in the early 1900's. Going along with the theme of "Water," the original ice box will be highlighted, as will the running water for cleaning, food preservation, and indoor plumbing! Interpretive guides will be available to answer questions, plus give historical information on each floor of the house. In the Garage on both days, hands-on activity/craft classes for ladies have been scheduled by Linda Bailey, Cass City. A variety of classes will be held both days for adults who are interested in learning some old/new crafts; the complete list of the activities available for 2016 will be posted by the Garage. There is no cost involved for these activities/crafts, but donations toward the Barn are appreciated. There should be no unattended children for these classes, as the materials/methods are not geared for young ones; they are welcome to watch and be with adults. In order for optimum information and completion of the projects, participants be ready at the beginning of each session. The School is the old, original Mast School that was moved to the Thumb Octagon Barn site from the Sebewaing area several years ago. There will be lots time to tour the beautiful One Room Country School! The One Room Country"School will have scheduled "Patriotic Presentations" by students/teachers - dressed in clothing/attire representing the 1920's and 30's - in the old Mast School. There will be 2 performances on Saturday and on Sunday; times will be listed by the School. Next door, the County School Museum building will have on display materials, photos and maps from years gone by from the Country Schools from the greater Thumb area. Guides will be available to answer questions, accept "old school donations," plus to listen to the stories of your education in years gone by! Some of the additional features that will be apart of Fall Family Days 2016 include Thumb Octagon Barn history talk in the arena of the Barn with Margaret Sergeant, Gagetown. Lots of Barn and Agricultural History Museum items are on display throughout the Barn, including up on the north & south lofts. You could spend hours just looking at the displays in the Barn! There is also a wonderful old ice fishing display on the north loft including an old ice shanty and lures! On the lower level of the Barn, there will be a live bee display, broom making, an extensive dairy exhibit, plus the north side of the Barn will be filled with live farm animals to see, pet, and enjoy! Behind the creek, the Grain Elevator has been enlarged during the year to almost twice its original size and now also includes the grist mill! They both will be up and running, so stop in to see all the things that happened in years gone by at a local elevator and grist mill! Also the Blacksmith Shop, Sugar Shack (making sorghum syrup), The Cider Mill will be giving demonstrations. The Powerhouse will be open with interpretive guides explaining how it powered the farm using water vapor/steam using a steam engine, plus the 32 Volt Delco battery system. You can watch the fellas at the old working Sawmill cut huge logs into boards that will be used in the future on the site; the Veneer Mill will be running, plus there is a wonderful Sawmill Museum displaying old wood tools and featuring lumberyards throughout the Thumb! Out by the Munro building on the 26-acre site, there will be morning and afternoon demonstrations of field harvesting, threshing, baling, and potato picking using old farm equipment. Check the display board for times of all demonstrations. Working also will be "hit and miss" gas engines, stationery hay press, and steam engines; there is no charge for exhibitors. There will also be a HUGE display of many kinds of old tractors, plus an old Bay City shovel. Theresa Schumitsch, Millington, will be milking goats and making butter. Thumb Two Cylinder Club will have an extensive display of old and new John Deere toys in the Barn. Plus free horse-drawn wagon rides for everyone will be available east of the creek! At 2:30 PM in front of the Barn on both Saturday and Sunday, there will be a Variety Show, organized and described by Sue Battel, Cass City. Followed at 3 PM both days will be the narrated Parade of Antique Tractors/Equipment. Raffle tickets are available for purchase for a variety of wonderful displayed items; after the parade on Sunday, the raffle prize winners will be drawn. Louie and Linda Wehrman, Reese, vendor co-chairpersons, have rented out all 240 spaces! This means a wide range vendors displaying arts, crafts, and flea market items will be available for purchase in a variety of price ranges. There will be something for everyone's interest and enjoyment! The Thumb Octagon Barn souvenirs will be available in the Souvenir Stand located directly behind the garage; a credit card machine there will also be available for use. Free tractor driven wagon shuttles are provided to transport people to and from the parking areas to the site; handicapped shuttles are also available. PLEASE NOTE -NO PETS allowed at Fall Family Days due Health Department regulations and liability. Leave your pets at home where they will be safe, cool, and comfortable! Note: ALL vehicles MUST ENTER from Bay City-Forestville Road only. Come - spend the day! 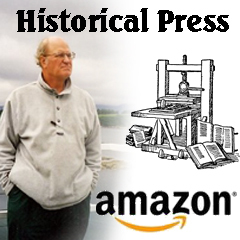 - to see, learn, and enjoy a step back to rural Michigan in the early 1900's! People of all ages will enjoy returning to an earlier time to learn about a bygone era by visiting the 21st Annual Fall Family Days. Thumb Octagon Barn's 2016 Fall Family Days, Gagetown - always held the weekend after Labor Day - is Saturday, September 10th and Sunday, September 11th. The Fish Fry will be held Friday, September 9th from 4 to 7 PM. This entire event is for family fun for people of all ages - reminiscing and educating! This event is sponsored by Friends of the Thumb Octagon Barn, a 501(c)(3) organization. Chairperson for Fall Family Days 2016 is Martin Kubacki, Ubly, with Devin Irion, Owendale, Co-Chair. Admission is $5 for all people 6 years of age and older. Theme for 2016 is 'Our Wonderful World Of Water!' Reminder: ALL vehicles MUST ENTER from Bay City-Forestville Road only. NO PETS allowed. IF YOU HAVE BEEN TO THE 'BARN' BEFORE: COME BACK TO SEE EVERYTHING THAT HAS BEEN ACCOMPLISHED IN 20+ YEARS - ALL BY VOLUNTEERS! 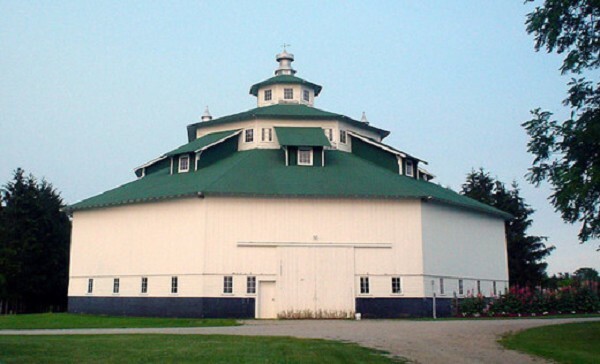 - TO RESTORE THE THUMB OCTAGON BARN AND THE AGRICULTURAL MUSEUM!